Dehradun: Senior living communities are steadily emerging as a growing market among the elderly who are increasingly looking for a better social lifestyle and security. With 98 million elderly people in India today and growing at a rate of 3.8 per cent annually, senior living communities providing assisted living environment for them are emerging as a trend. A survey conducted by AZ Research on senior citizens and senior living last year suggests that three out of every four seniors are open to move to an assisted senior living community and they are willing to shell out money for their overall security, housekeeping support and leisure avenues. There are around 30 senior living projects in cities like Kochi, Chennai, Coimbatore, Bangalore, Pune, Goa, Kolkata, Hyderabad, Mumbai, Bhopal, Jaipur, Delhi, Nagpur and Punjab. 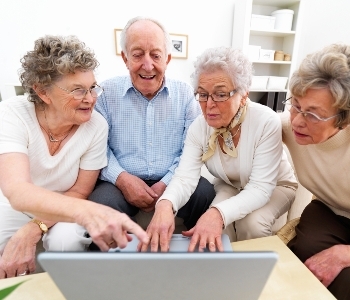 According to experts, independent retirement homes are on the rise. "The status of seniors in Indian market is experiencing a sea-change, owing to their growing cohort size, augmented financial independence and change in mindset. They are no longer considered withdrawn, risk averse and financially dependent," a report by real estate advisory firm Jones Lang Lasalle has said. "The immense potential of this segment, with its unique needs and promises, offers an array of opportunities to the Indian real estate market," it says. Riding high on this growing demand of housing for senior citizens, Antara Senior Living is building a township in Dehradun offering facilities for over-all well-being of senior citizens - above the age of 60- keeping in mind the needs of such people from healthcare, to social lifestyle and security. Housed over 14 acres of land in the Purukal village at the foothills of the picturesque Mussoorie hills, the sprawling township has been designed considering the various needs of old people at all stages of the ageing process.